Welcome to Part 2 of Coding and Yoga Unite (click here for Part 1). In part 1, we observed that many people think of Yoga as just about physical postures although, Asana (Sanskrit for physical posture) is actually only 1 out of 8 limbs of Yoga, based on Patanjali’s Yoga Sutras. We also looked at the Yamas (restraints) and how they might correlate with programming principles and concepts. 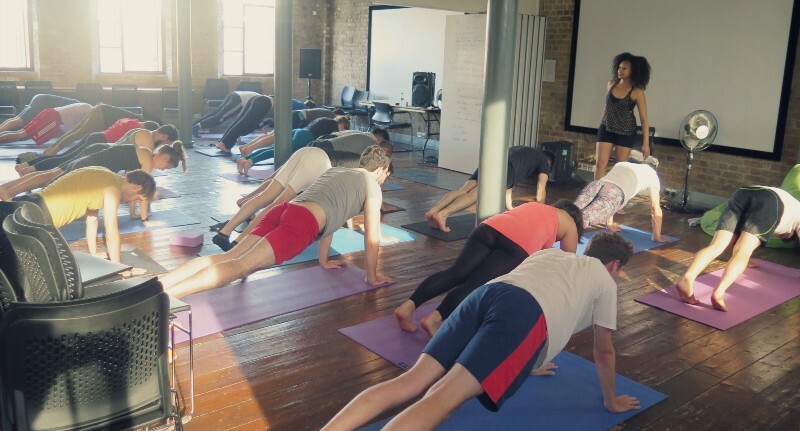 Turns out you can code like a Yogi! Meaning purity and cleanliness. Sauca has both an inner and an outer aspect. Looking after one’s body as well as seeking a clarity of mind and purity of heart. To be at peace with one’s circumstances and to reach for understanding of the goodness and purpose behind it. Tapas refers to the activity of keeping the body fit or to confront and handle the inner urges. Literally, it means to heat the body and, by so doing, to cleanse it. To intentionally find self-awareness in all our activities and welcoming and accepting our limitations. It teaches us to be centred and non-reactive to the dualities, to burn out unwanted and self-destructive tendencies. Dovile Sandaite: “Yoga has taught me to listen to myself with more compassion, accept the limits of my body and honestly examine the well-being of my mind. When I feel good at a pose and it doesn’t require much effort to achieve, I remind myself to push my boundaries and stretch deeper. Similarly, when I’m satisfied with my code then try to refactor the code in a more elegant way. It can be tough to observe the boundaries of my body and mind during practice; it’s also difficult to discover and accept the limitations of my skills or knowledge when coding. Every time I have to delete the code I wrote and start from scratch, it’s like falling out of the balance pose in Yoga practice. I have to remind myself that it is okay, I can try again. I’ve learned it’s not helpful to get angry with myself, embracing my limits lets me find the courage to overcome challenges. With this awareness I can say: “The pose begins when you want to leave it” (- B.K.S Iyengar) in the same way that “coding begins when you find a problem too big to solve at the first glance”. This practice requires that we recognise that there is something larger than ourselves, whether it’s an omnipresent being, the universe or just the bigger picture. Alex Swan: “Spiritual, the spirit, being at one with life and everything around us. What does it mean? The answer is I don’t know. Yoga being a calming practice to balance one physically and mentally would surely relax one’s spiritual self, would it not? It really depends on what you believe. “Anyone can work out but, it takes a Yogi to work in” — Anonymous.